American Pawn Gun and Jewelry Exchange is a family-owned and operated business located in the heart of Norfolk Virginia. Since opening our doors in 1992, we’ve earned a solid reputation built on honesty, fairness, and a trusting relationship with our customers. We provide loans on any item of value, including sporting goods, tools, and electronics, to get you thru until that next paycheck, and offer great deals on new and used merchandise in our showroom. Our specialty is fine jewelry, housing over 2,000 items of gold, diamond and precious stone creations for sale, priced at amazing discounts over retail dealers. We also provide a full-service jewelry repair and modification shop. 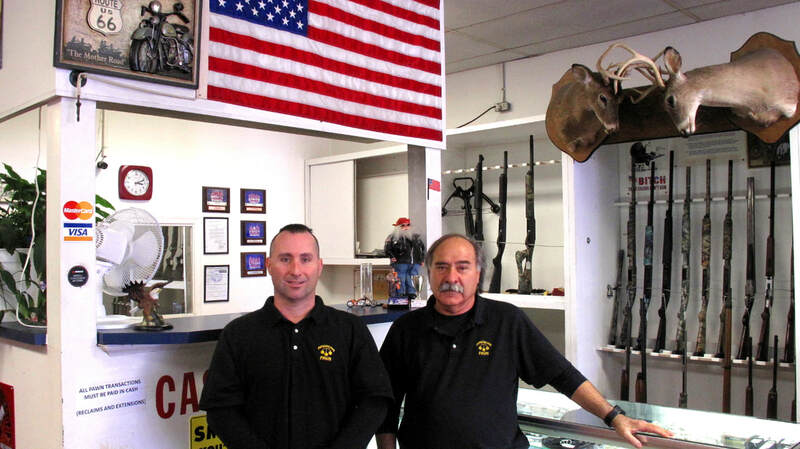 We are a fully licensed firearm dealer as well, selling new, used, and special-order handguns and long guns, as well as ammo and holsters. Whether you need fast cash, or you’re looking for a bargain on a widescreen TV, guitar amp or diamond ring, American Pawn Gun and Jewelry Exchange has been a dependable fixture in the neighborhood for over twenty years – so come see us!